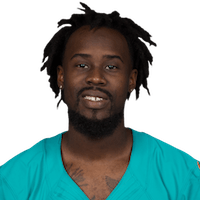 Analysis: Lippett signed with the Giants in October and played in three games, recording one tackle and one pass defensed. The 26-year-old should enter camp competing for a reserve role at defensive back. 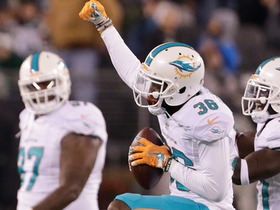 Lippett signed a contract with the Giants on Tuesday, Dan Duggan of The Athletic reports. Analysis: Lippett previously served as a starter in Miami's secondary in 2016, and he should be fully healthy after missing his entire 2017 campaign due to a torn Achilles. A converted college wideout, Lippett will play a depth cornerback role for the Giants going forward. Lippett (foot) made one tackle during Saturday's 27-10 preseason loss against the Ravens. 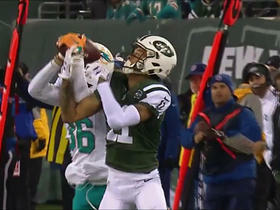 Analysis: Lippett returned to action after being sidelined with a foot injury for almost two weeks. After missing his entire 2017 season with a torn Achilles, Lippett is fighting to earn a depth role in Miami's secondary. Lippett (foot) is expected to return to practice this week, Joe Schad of The Palm Beach Post reports. Analysis: Lippett has missed almost two weeks with the foot injury he suffered prior to the team's first preseason game. He's competing for a depth secondary role and may make an appearance in Miami's third preseason game, Saturday against the Ravens. Lippett left Tuesday's practice with a right foot injury and watched the rest from the sideline, Armando Salguero of the Miami Herald reports. Analysis: Tests are still being done on Lippett's foot, so expect an update on his health to come later. Lippett returned to being a full participant in practice last week after nursing a torn Achilles he suffered last August, but it's unclear whether the two injuries are related. Lippett (Achilles) has been a full-go at Dolphins practices, Hal Habib of The Palm Beach Post reports. Head coach Adam Gase said Lippett (Achilles) will see limited reps while he works his way back to full health, Armando Salguero of the Miami Herald reports. Analysis: Lippett missed the entire 2017 campaign due to a torn Achilles he suffered in training camp. It's no surprise that the Dolphins want to be smart with his return, as the Michigan State product is expected to be a top competitor for depth slotting behind Xavien Howard in advance of the 2018 season. Lippett (Achilles) is expected to be back to full strength for the start of the Dolphins' offseason program in the spring, Barry Jackson of the Miami Herald reports. Analysis: Lippett was sidelined for the entire 2017 campaign after rupturing his Achilles tendon in August. Assuming he endures no setbacks in the final stages of his recovery from the major injury, he'll provide a boost to a promising young cadre of cornerbacks that also includes Xavien Howard, Cordrea Tankersley and Bobby McCain. Lippett, a 2015 fifth-round pick out of Michigan State, registered 67 tackles and four interceptions across 16 games in his second NFL season in 2016. 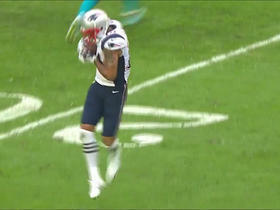 New England Patriots quarterback Tom Brady finds wide receiver Michael Floyd for a 13-yard gain. 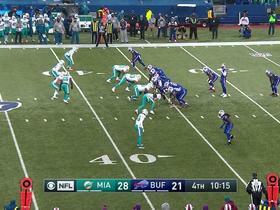 Buffalo Bills QB Tyrod Taylor rushes for a 13-yard gain. 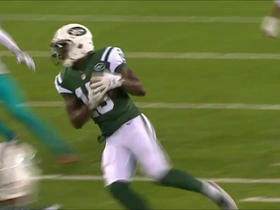 New York Jets QB Ryan Fitzpatrick is intercepted by Miami Dolphins cornerback Tony Lippett. New York Jets QB Bryce Petty connects with wide receiver Brandon Marshall for 16 yards. 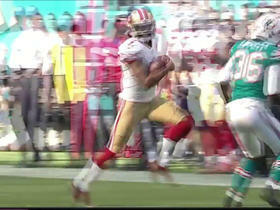 San Francisco 49ers quarterback Colin Kaepernick scrambles for 30 yards on 3rd and 9. 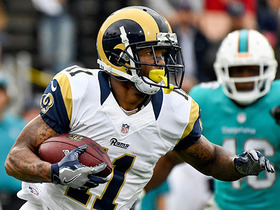 Tavon Austin picks up 21 yards on a reception, getting through the Miami Dolphins defense. 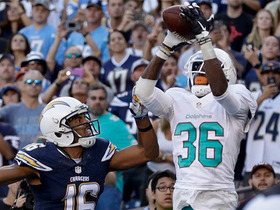 Miami Dolphins cornerback Tony Lippett seals the game by intercepting San Diego Chargers QB Philip Rivers. 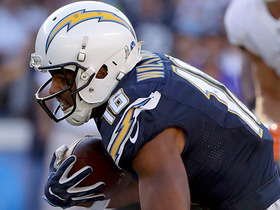 San Diego Chargers QB Philip Rivers finds wide receiver Tyrell Williams for 21 yards. San Diego Chargers QB Philip Rivers is intercepted in the end zone by Miami Dolphins cornerback Tony Lippett.